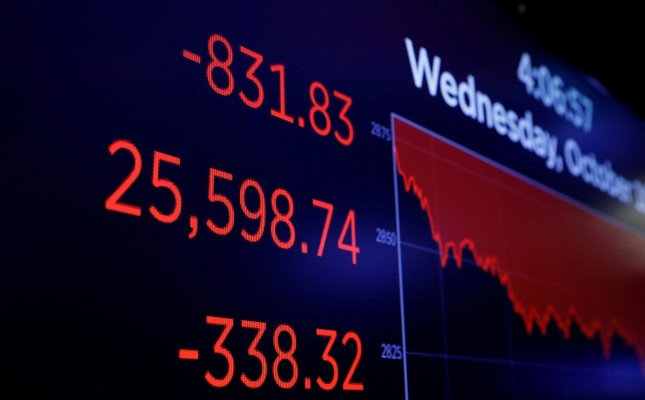 The world's 500 richest people lost $99 billion in one day due to the global stock market rout that started on Wall Street, a report said. This year's second-sharpest one-day drop came Wednesday for the world's wealthiest, according to Bloomberg. Amazon founder Jeff Bezos, who tops Bloomberg Billionaires Index, lost nearly $9.1 billion — the most in the list — lowering his net worth to $145.2 billion. 17 people saw their net worth cut by more than $1 billion as global losses spread equally across sectors. U.S. billionaire investor Warren Buffett suffered the biggest losses in terms of percentage — 4.9 percent or $4.5 billion. The world's 67 wealthiest tech moguls' collective net worth slid by some $32.1 billion. The U.S. was the country hit the hardest by the rout as American billionaires lost $54.5 billion.